Here are 10 frequently asked short sale questions that are very helpful especially if you are just getting started or considering short sales as a means to acquiring pre-foreclosures. 1. What happens to the seller’s credit rating when they allow an investor to short sell their property? What typically happens is the loan will show up as “paid” on their credit report; however there will be a notation that says “settled for less than originally owed” or something along these lines. It is more favorable for a homeowner to short sell than to have a foreclosure on their credit report. 2. Where do you find investors for short sales? Depending on where you live, you may see investors who advertise with bandit signs or in your local newspaper. Call the investors directly and ask them if they are experienced in doing short sales and if they would be interested in working with you. Another good place is your local real estate investors club meeting. 3. Define a short sale? A short sale is really a form of pre-foreclosure sale and occurs when the mortgagee agrees to accept less than the loan amount to avoid foreclosure. 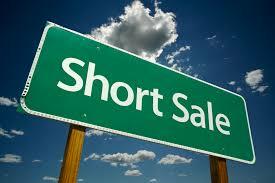 A negotiated short sale results in a discounted purchase price for the buyer. The buyer would finance the acquisition much the same as in any conventional realty acquisition… but without the luxury of time. The seller cannot profit (monetarily) from a pre-foreclosure short sale.. But there are always exceptions to the rule. Most mortgagees won’t consider a short sale if the homeowner is in bankruptcy…why? Because negotiating a short sale payoff is considered a collection activity. Collection activities are prohibited in bankruptcy. 6. Can somebody tell me what documents do I have to include in a short sale package? Documents depend on the lender. Each lender has different requirements. It is typical to require hardship letter, purchase and sales contract, ECOR, settlement statement (HUD 1), net sheet, pay stubs, bank statements, personal financial sheet (monthly budget), amongst other things. 7. What percentage of mortgage companies send someone out for an appraisal on a possible short sale? All lenders order a BPO or full appraisal of the property before making their decision to accept or reject the short sale offer. This is there only way of assessing the value of the property. Try to allow a window of at least 90 days to effectuate a mortgagee approved, pre-foreclosure Short Sale. 9. What is a Due on Sale clause? “Due on Sale” Clause (DOS) Provision in a mortgage or deed of trust calling for the total payoff of the loan balance in the event of a sale or transfer of title to the secured real property. A contract provision which authorizes the lender, at its option, to declare immediately due and payable sums secured by the lender’s security instrument upon a sale of all or any part of the real property securing the loan without the lender’s prior written consent. For purposes of this definition, a sale or transfer means the conveyance of real property of any right, title or interest therein, whether legal or equitable, whether voluntary or involuntary, by for deed, leasehold interest with a term greater than three years, lease-option contract or any other method of conveyance of real property interests. Standard language which states that the loan must be paid when a house is sold. 10. Will banks allow a short sale when the owner has some or a good amount of equity? If a property has what the lender would consider a substantial amount of equity, chances are they would consider allowing the property to foreclose and then reselling it closer to the retail value. Focus on homes that do not have much equity. Your job will be to create the equity in the home by negotiating a successful short sale.